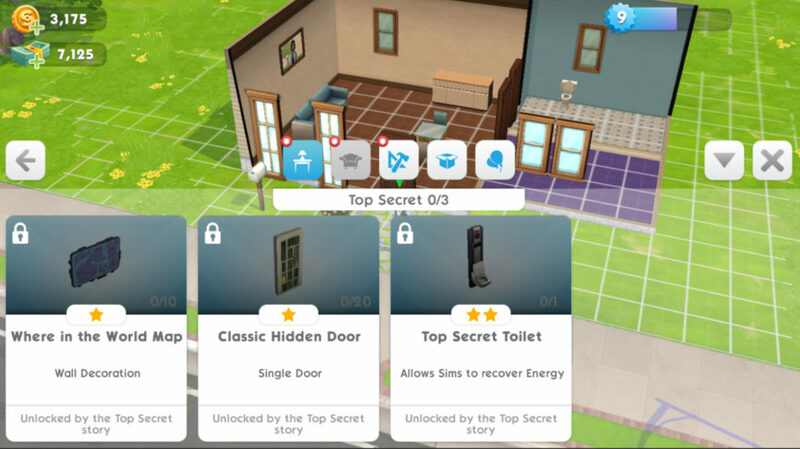 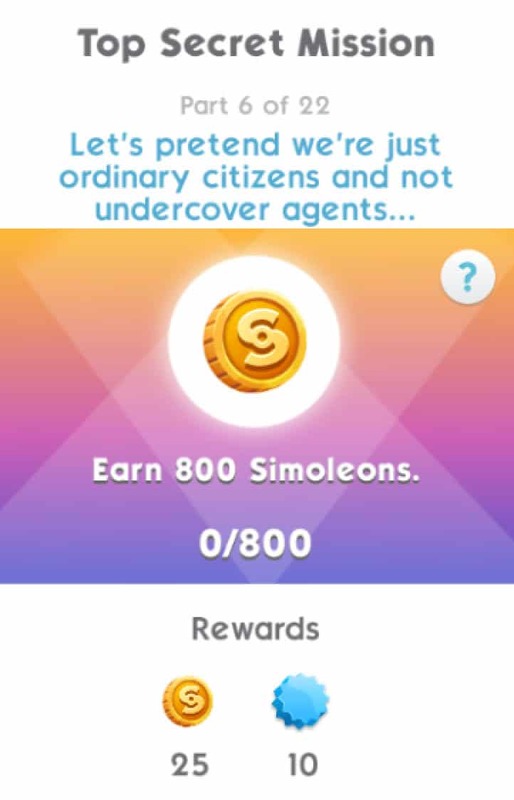 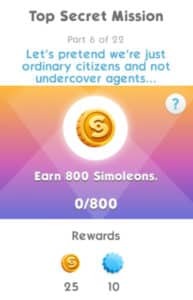 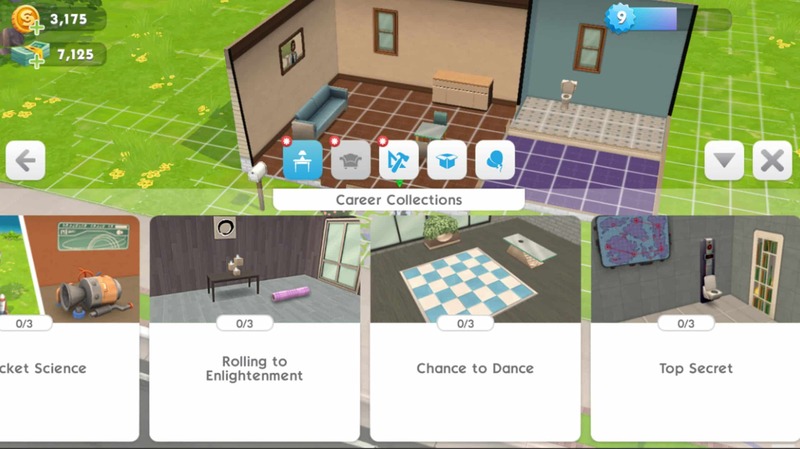 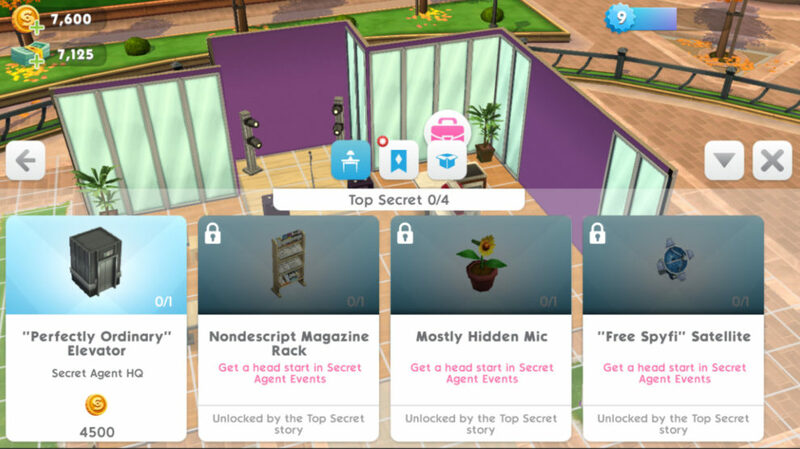 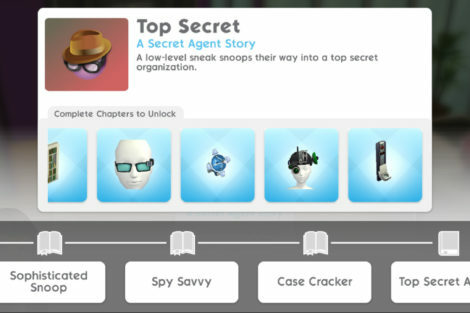 The Sims Mobile is launching a brand new career on March 21st, 2019 – the Secret Agent Career! 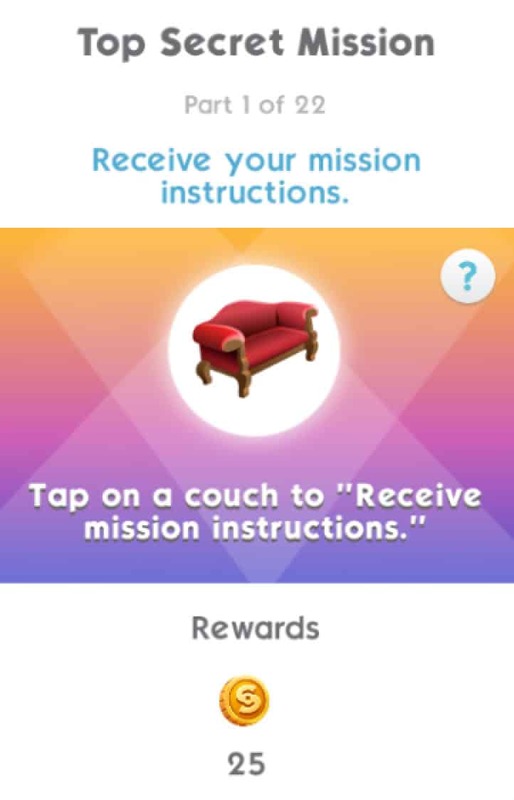 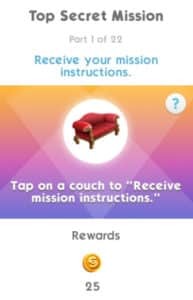 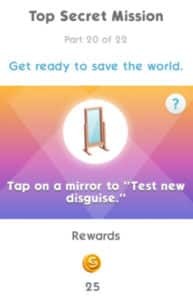 Part 1 (4 days to complete after completing Step 0): – Tap on a couch to “Receive mission instructions”. 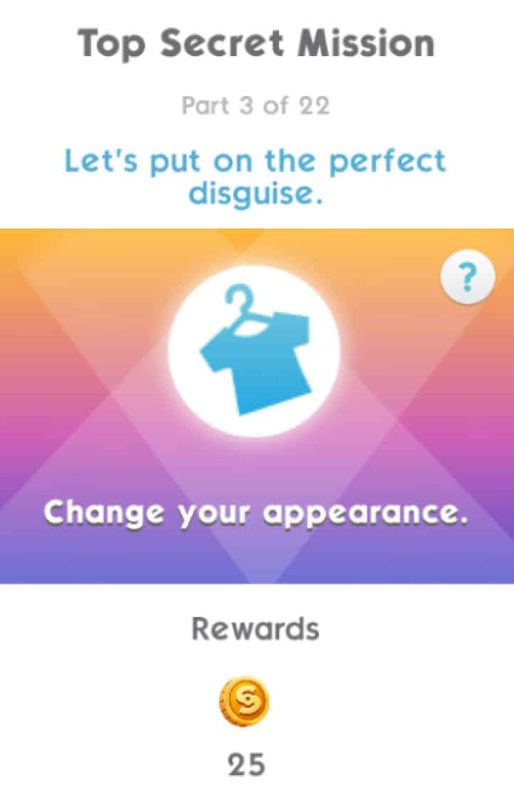 Part 3: Change your appearance. Part 4: Complete an event. 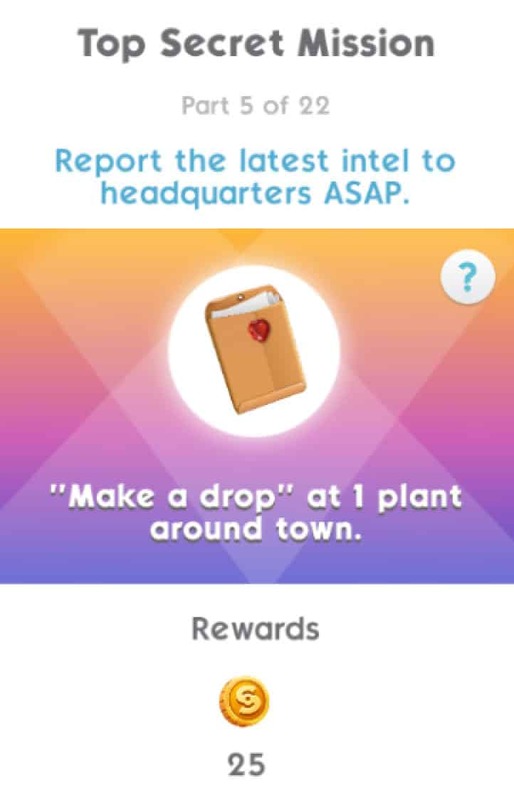 Part 5: “Make a drop” at 1 plant around town. 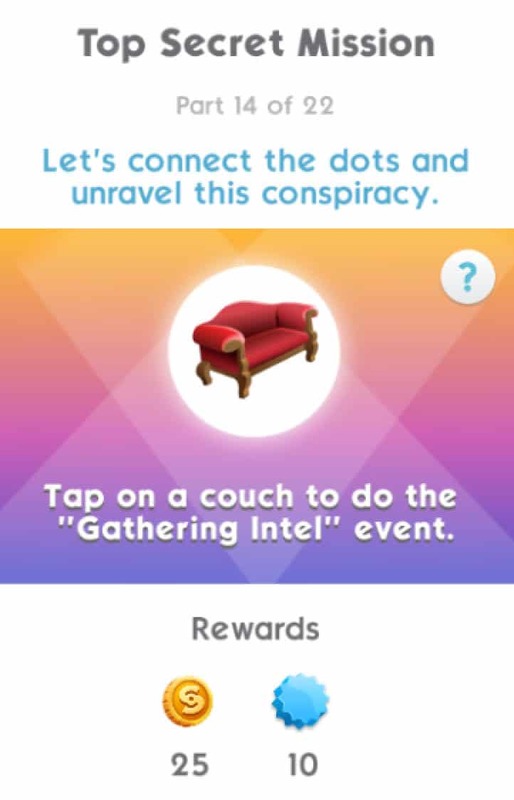 Part 7: Tap on a couch to do the “Gathering Intel” event. 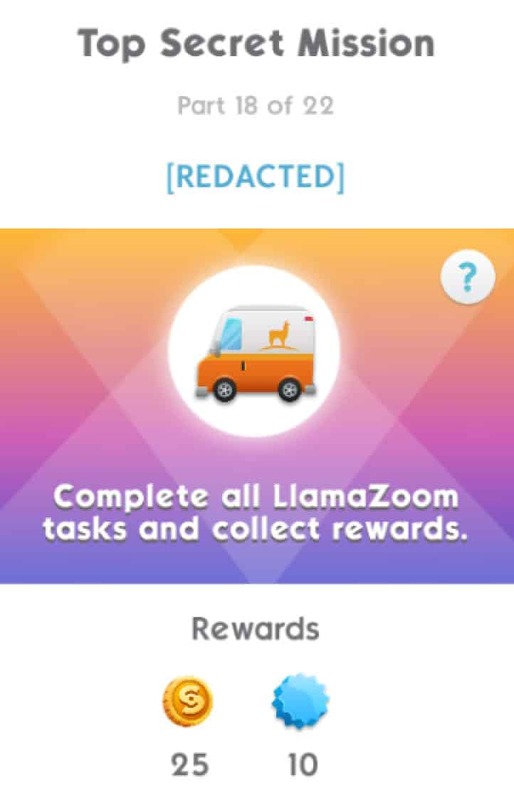 Part 9: “Complete all LlamaZoom tasks and collect rewards. 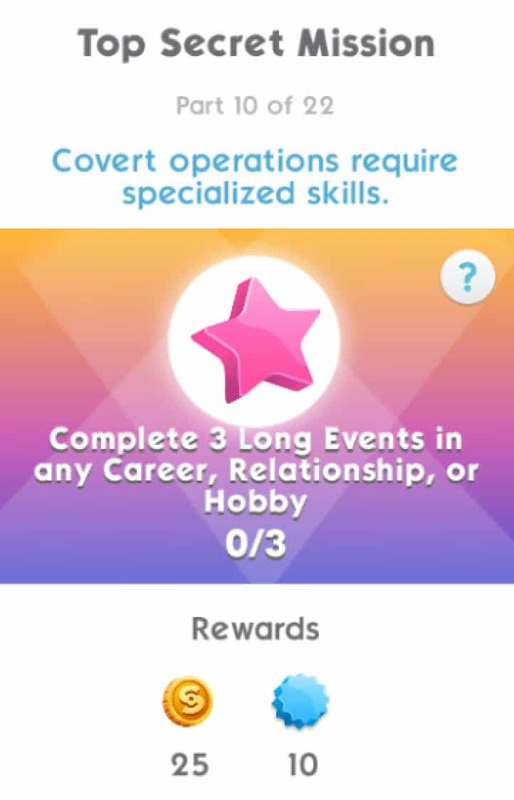 Part 10: Complete 3 Long Events in any Career, Relationship, or Hobby. Part 11: Tap on a couch to do the “Deep Undercover” event. 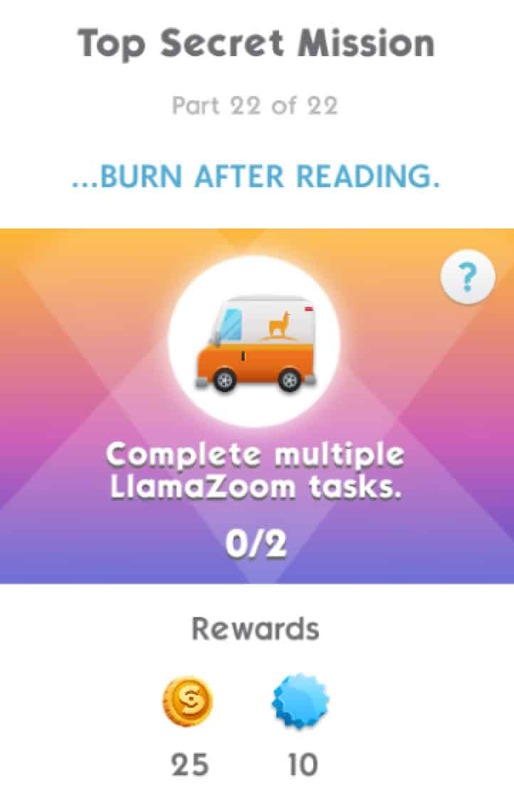 Part 12: Complete all LlamaZoom tasks and collect rewards. Part 14: Tap on a couch to do the “Gathering Intel” event. 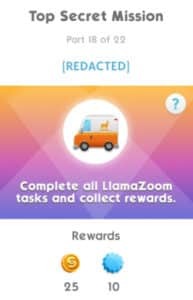 Part 15: Complete all LlamaZoom tasks and collect rewards. 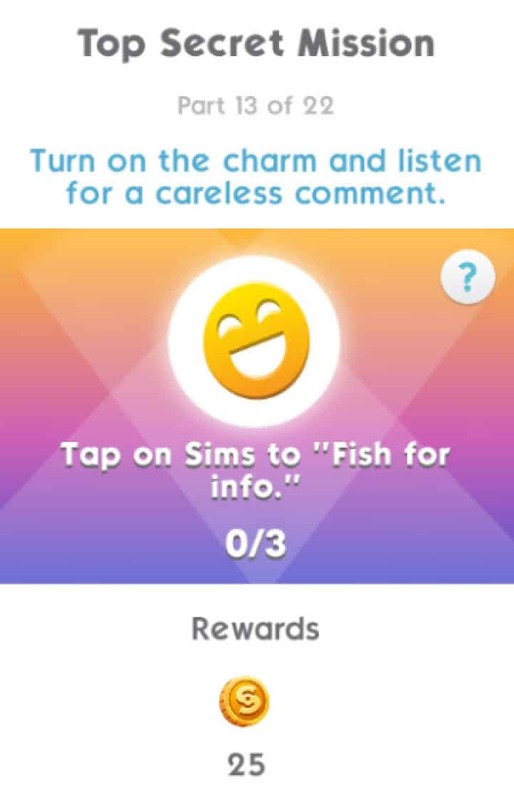 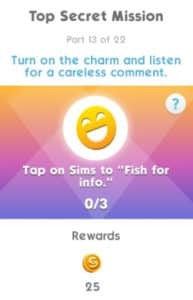 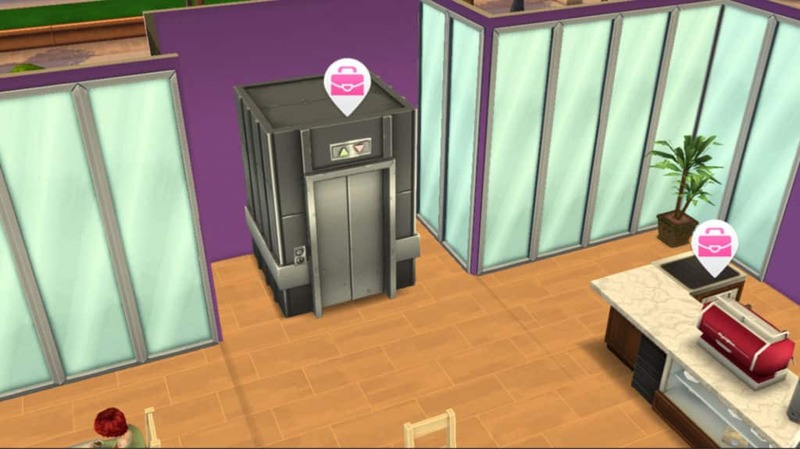 Part 17: Earn 1000 Simoleons. 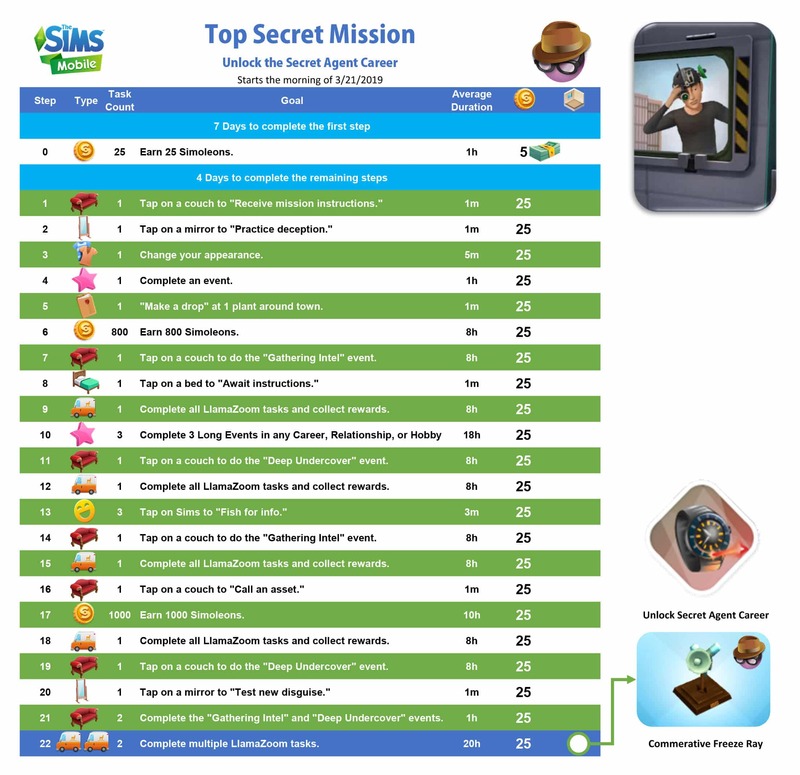 Part 18: Complete all LlamaZoom tasks and collect rewards. 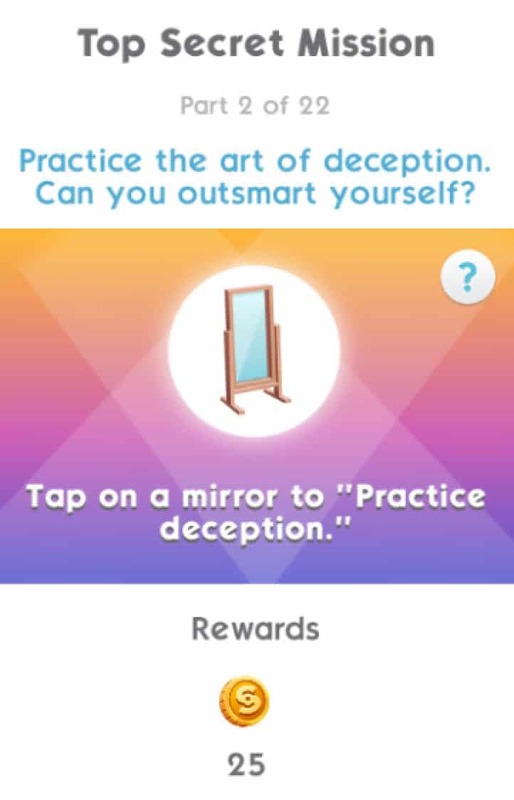 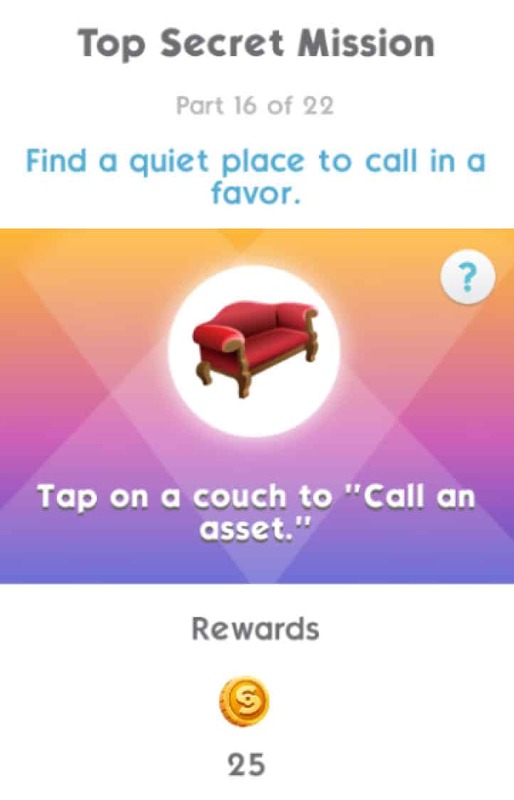 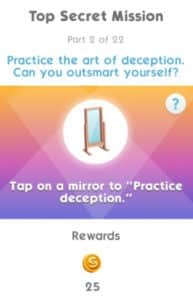 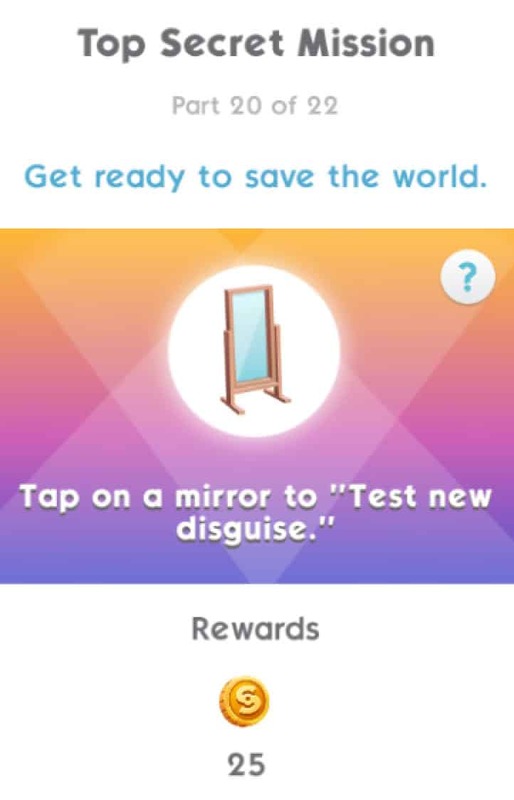 Part 19: Tap on a couch to do the “Deep Undercover” event. 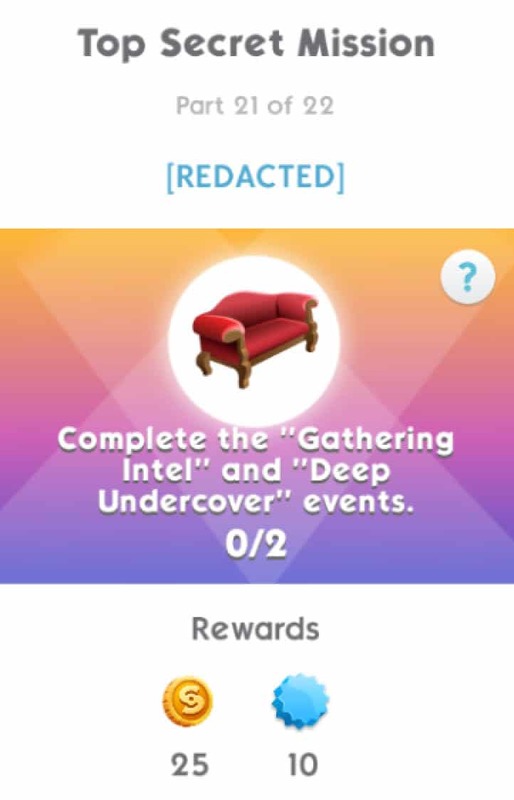 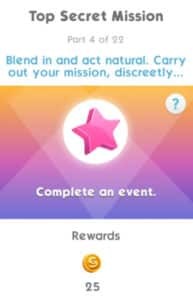 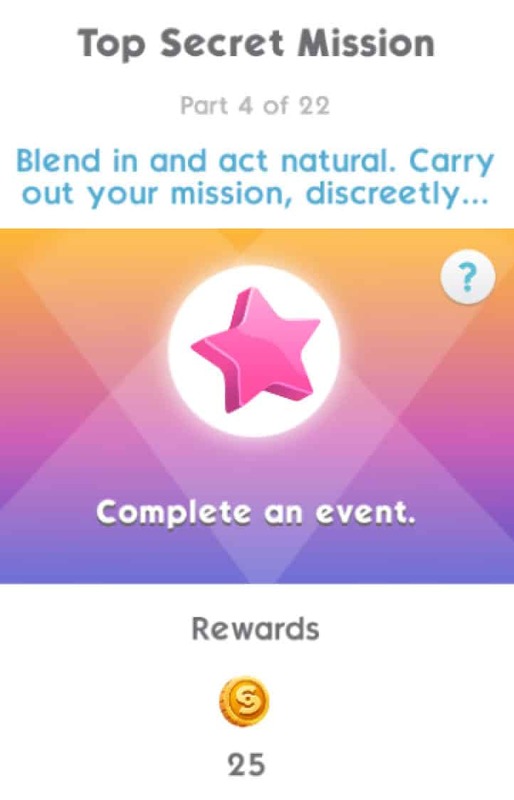 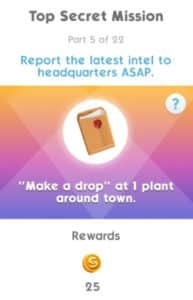 Part 21: Complete the “Gathering Intel” and “Deep Undercover” events. 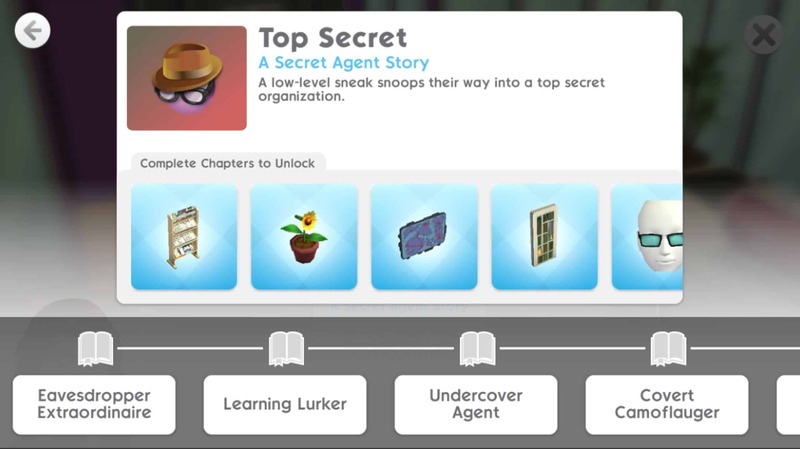 Part 22: Complete 2 LlamaZoom Events. Completing the quest in time will unlock the new Secret Agent Career and the Commemorative Freeze Ray item. Finallyy I was waiting for you to post the St. Patrick’s day event walk through lol Thanks for posting this! 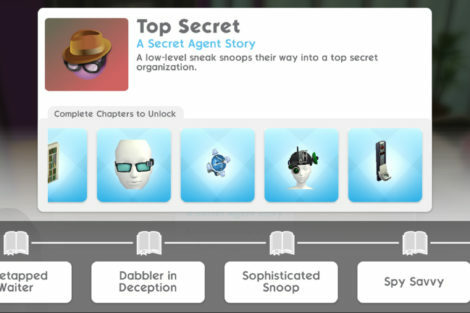 Love the new career/hobby Secret Agent. 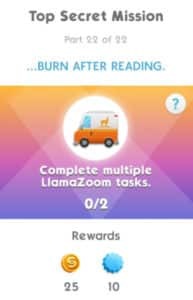 I just wish that annoying Llama task wasn’t involved. Makes it almost impossible to complete without staying on the game 24/7. Hate that Llama woman ugh! 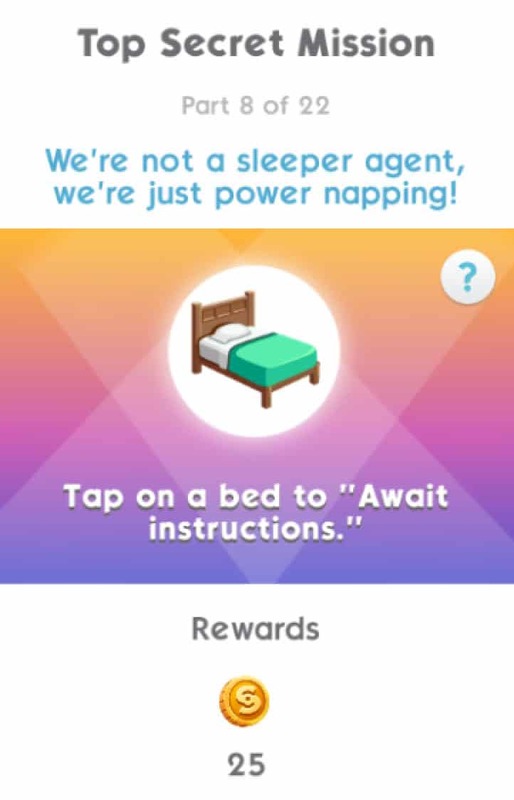 Yeah and then at the end you have to finish it two times in a row? 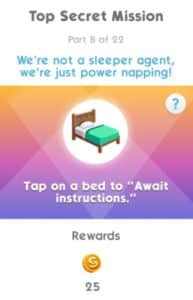 That’s too much. The deep undercover event is the one that is in the house or at the downtown? 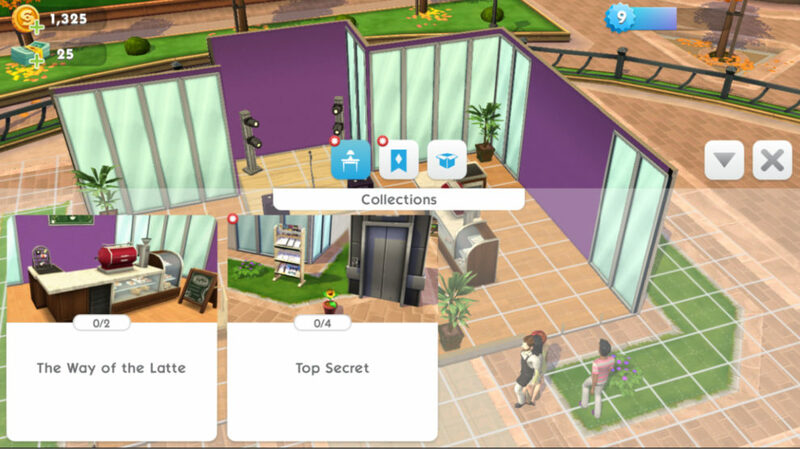 Origin Surprise Sale: Get The Sims 4 Bowling Night Stuff for 50% off!